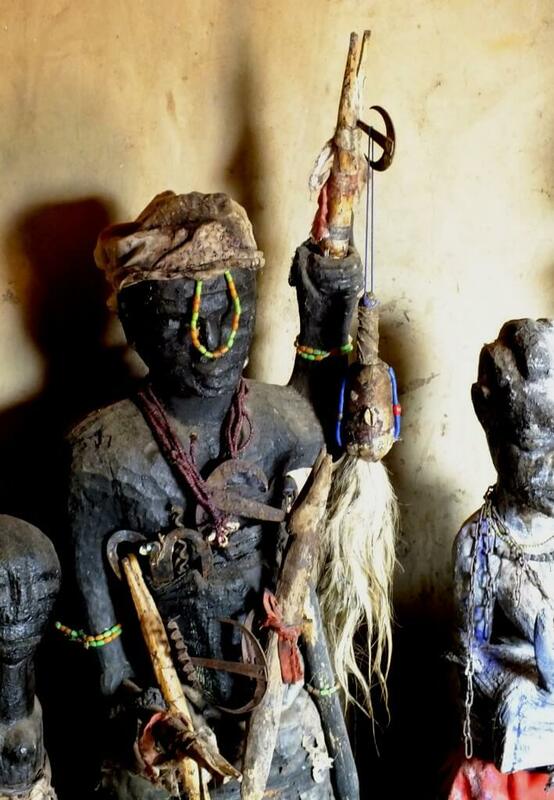 The southern part Of Benin and Togo, is the core of the voodoo religion. The voodoo is an animistic religion, meaning that the followers believe that everything on earth has soul: the forests, the sea, the rivers, the stones etc’. Human being are, therefore, has to be very careful to respect the other ‘souls’, or spirits. Failing to respect them, might cause a punishment. The one that is easy to get annoyed is HEVIOSO (or Hebioso) the spirit of the Thunder, storms and justice. He can bring disaster on misbehaving people, therefore he is respected and feared. Hevioso is worshiped by many people, who come to seek is blessing and protection before going on a long voyage.